The Bates Company Enforcer Series® Ultra-Lites 8" Tactical Sport Side Zip Women's Boot was designed to be lightweight but incredibly functional, without sacrificing features. 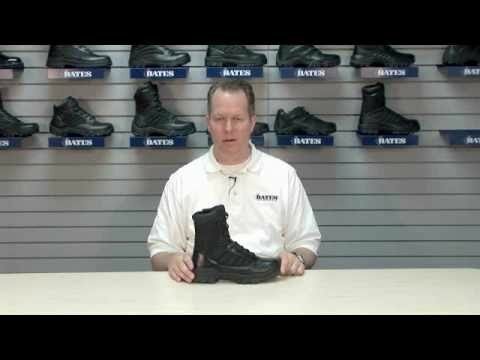 In a high stress work environment, such as Law Enforcement, EMS, or EMT's, top quality footwear is vital to performance and safety. These Enforcer Series boots are perfect because they are thirty percent lighter than the average performance workboot with out sacrificing any quality features such as shock absorption, side zip entry ans the top-performance mesh inner lining for comfort and breatheablity.